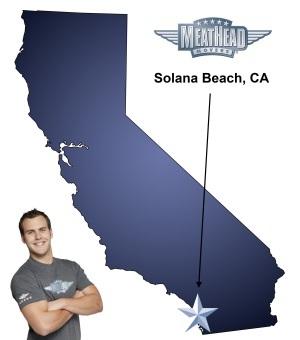 With plenty of moving services, Meathead Movers is fully prepared to make Solana Beach your new home. Our clean-cut student athlete movers are dedicated to fulfilling all your moving needs efficiently. Moving to a new area, even an area as beautiful as Solana Beach, can be a stressful experience. Fortunately, you’ve found the best Solana Beach Movers. We are Meathead Mover and we perform a step above the competitors. We are dedicated to you and work our hardest to ensure that your move to Solana Beach is a positive one. Solana Beach has everything that you would expect from a seaside community. The city is absolutely gorgeous, and the palm trees and the sea are a constant reminder that residents can enjoy the Pacific Ocean at any time. The weather is beautiful all year-round, even in the wintertime when the temperature tends to remain at a comfortable 66 degrees. After you move here, you and your family will find that Solana Beach is a great place to take part in many outdoor activities. Residents often enjoy surfing and swimming in the ocean and can visit Fletcher Cove Park to watch the beautiful sight of the sun setting in the background. Once the sun has disappeared over the horizon, people are ready to enjoy the many restaurants and nightclubs in the area. At Meathead Movers, we are excited to help you make this new transition. Our moving company specializes in local, long-distance, and commercial moves to, from, and within Solana Beach. We also provide reliable storage, on-site relocations, and our distinctive moving concierge service, which connects you with local service providers. Part of what makes moving a chore is the packing that you must do. We want to relieve you of this duty, and our Princess Packers are the ones for the job. They will pack your things as if they were their own. Another comforting fact is that at Meathead Movers, we never subcontract day laborers! When you trust us with your move, you know that your things will arrive at their destination in one piece by our licensed, well-trained and insured student athlete movers. Our Solana Beach movers are clean-cut student-athletes who jog when they are not carrying your items, which helps save you time. We are so confident in the quality of our moving services, we offer an unprecedented 100% satisfaction guarantee. We know you will enjoy your days in Solana Beach, but it is our duty to make sure your move to Solana Beach is a smooth one. Make your move stress-free by contacting us for a free no-obligation quote today. “Very polite fellas, very careful – took their time to solve problems – and we had a big one with a cabinet. cleaned up, put everything they moved back. Padded the furniture perfectly and protected everything each piece. View more Solana Beach resources. Very polite fellas, very careful - took their time to solve problems - and we had a big one with a cabinet. cleaned up, put everything they moved back. Padded the furniture perfectly and protected everything each piece. Excellent, will advertise for you and call if I need help in the future. Always on time, friendly and know how to pack a storage unit. ?? Awesome staff, the business model is fantastic-few jobs are so flexible for students!- and the job is always well done. Just all around the kind of company I want to support. They were nice! It's like they were running team drills getting our stuff out and onto the truck! Never felt like I was being taken advantage of our trying to stall to make more money....(I had that problem with previous moves). But they presented themselves as helpful and dedicated to get us on and on the road as soon as possible. I was very happy.